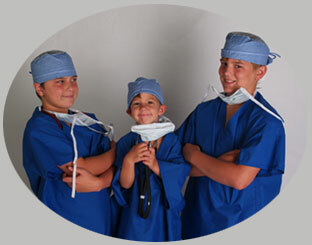 At Collin County Pediatrics, our goal is creating a pediatric and adolescent medicine practice that combines high quality care; a warm comfortable atmosphere for both child and parent; and the newest technology to assist the doctors and their staff in caring for your child. We treat your child as if he or she was our own child. Be sure to check out our Facebook page that is frequently updated with announcements, medical news, and tips for caring for your child! We are open Saturday mornings from 9-11 AM except on Holiday weekends. We will be closed Saturday November 24th for Thanksgiving. Will be open from 9-5 on Friday Nov 23rd. We will be closed Saturday Dec 22 and Saturday Dec 29 for the Holidays. Flu vaccines are available by scheduling a nurse visit appointment or by walk in on Monday Oct 8th and Sat 9-11 AM on Oct 13 and Sat 9-11 on Nov 3rd.